In October, the Children’s Hospital of Philadelphia launched Spark Therapeutics with $50 million in funding, enough to carry its lead program to market, a gene therapy for an inherited form of blindness. In doing so it is riding a wave of recent high-profile investment in gene therapy, as witness the hefty series A rounds for Audentes Therapeutics and GenSight Biologics. So gene therapy is gaining steam (again); but Spark is unique, or at least unusual, and we think it deserves your vote for Financing of the Year. First, it has sprung, nearly fully formed (with a Phase III asset), from a research hospital. CHOP is neither the first nor the only hospital to incubate a technology and commercialize it through a wholly-owned company. Cincinnati Children’s Hospital, Boston Children’s Hospital, and Cleveland Clinic Innovations have all engaged in various flavors of company creation. But CHOP has taken it to another level. 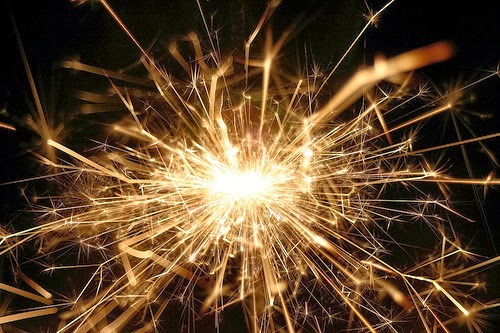 The RPE65 gene was first cloned in the 1990s; in 2004, Dr. Katherine High persuaded CHOP to take on the research that culminated in the launch of Spark a decade later. Think about it: a research hospital deciding to pull the trigger on a program that it has nurtured to Phase III, and to launch it into the rough and tumble commercial world with enough cash and with the right mix of clinical/regulatory/manufacturing/commercial capabilities to bring it to market. Venture companies don’t typically do that. Their cash is too impatient. In fact, the investment is also noteworthy for what it may portend for the beleaguered world of life science VC or technology-hungry pharma. Note that CHOP did not seek venture funding for its technology. Though Spark is free to turn to venture or other sources of support in the future, including a pharma partner, CHOP apparently felt that Spark the newco, like the decade-long R&D that CHOP sponsored around the RPE65 gene, needed time and a shielded environment to succeed. And where research hospitals have traditionally licensed their technologies to for-profit companies at bargain-basement single-digit royalty rates, CHOP may be re-writing the book on how better-capitalized hospitals could monetize their inventions in the future. Not that it has foregone its traditional avenues for raising money – clinical activity is still the biggest source of revenue, along with royalties on its proprietary research. But there’s no doubt it’s getting smarter. In 2008, the hospital sold the royalty on its rotavirus vaccine, now Merck’s Rotateq, to Royalty Pharma for $182 million. CHOP, as majority owner, gets a healthy cut of Spark’s revenue, a not inconsiderable boon to a research institution in a time of uncertain support from Federal funding. CHOP CEO Steve Altschuler said that the spin-out of a for-profit vehicle like Spark is part of a broad process of diversifying its revenue streams. Talk about diversification – Spark has a full pipeline of gene therapies. It has a Hemophilia B program in Phase I/II, as well as other hematological programs, and preclinical programs in neurodegenerative diseases that take it out of the orphan monogenic space. In fact, Spark is following in the footsteps of uniQure BV, which won EU approval of the first gene therapy, the first such approval in the major markets. uniQure has helped investors to visualize a clinical and regulatory path to market for gene therapy. Now Spark is competing with uniQure to bring the first FDA approved gene therapy to market. We’ll know soon if the blindness program gets a regulatory nod. If so, it will derisk Spark’s other programs, providing CHOP/Spark with lots of potential exit options for its pipeline, and possibly whetting CHOP’s appetite for more company creation. We’re nominating the launch of Spark Therapeutics because it stands at the crossroads of tomorrow’s medical treatments and how they get funded.